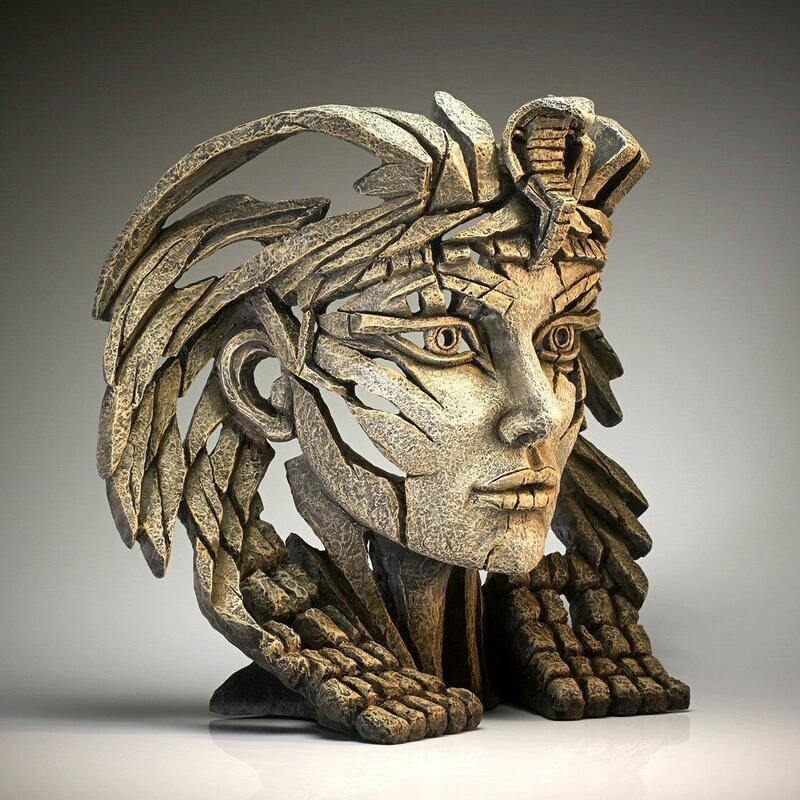 Sculptor Matt Buckley's interpretation of the legendary Macedonian ruler from the EDGE collection. 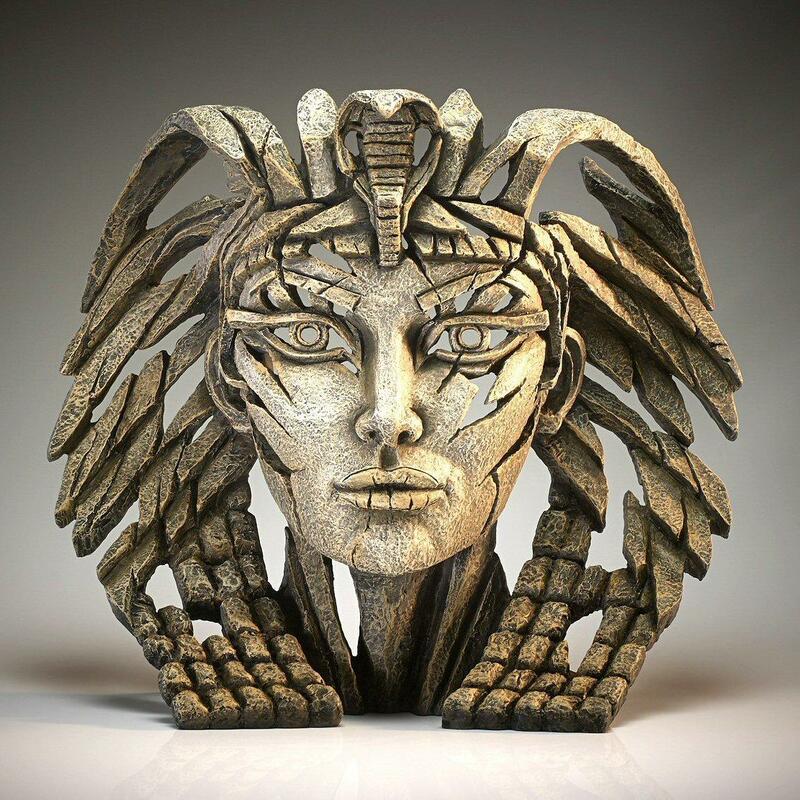 Cleopatra VII was ruler of ancient Egypt for nearly three decades. Her enduring place in history and popular myth is based in no small part on her supposed great beauty and seductive powers, coupled with her liaisons with the great Roman leaders Julius Caesar and Mark Anthony. This version has a desert sand finish in keeping with the nature of the subject. 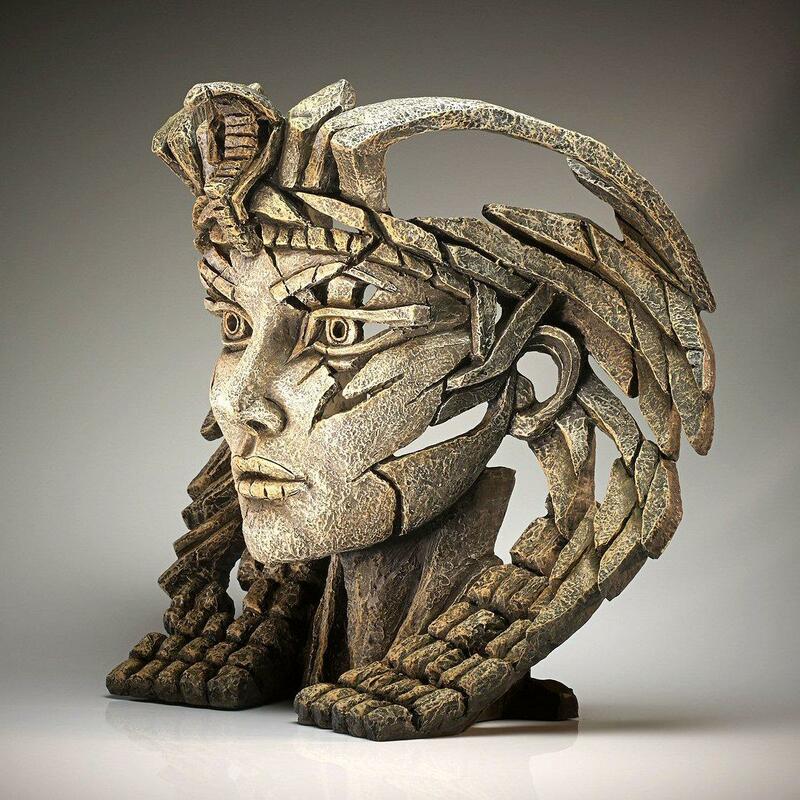 It is though, also available in a striking blue and gold finish - Cleopatra Bust - Blue and Gold EDB06 and a York stone finish suitable for display outdoors - Cleopatra Bust - Stone EDB06S.